Our new road and car park gritting lorries arrive. We are delighted to announce that we have continued to grow our fleet of gritting lorries in time for the next season to further support our expanding road and car park gritting service across Hertfordshire, Bedfordshire, Oxfordshire, Northamptonshire and Cambridgeshire. We have purchased the high specification gritting lorries to ensure both efficient performance and safety. Each of the new gritting lorries will be able to carry and impressive 3.5 tonnes of grit in a single load, so we are pleased to say that’s an additional 7 tonnes of grit distributed across our client’s roads and car parks helping to keep them operational and safe during the winter months. 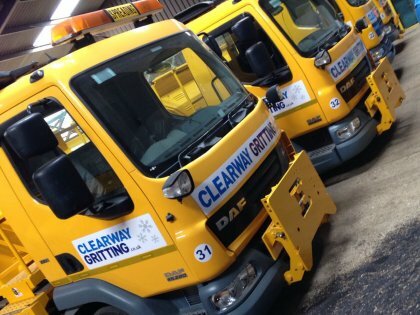 If you would like to discuss how our road and car park gritting services can support your organisation over the coming winter season, please contact us on 01727 851837 or email us at enquiries@clearwaygritting.co.uk and we’ll be happy to put a plan in place for you. A photograph of our new gritting fleet lorries will follow.